Bronze Plated steel split rings give added security to jewelry designs. Similar to a key ring, chain, eyepins and wire loops easily slide onto ring and stay secure. Perfect as a terminating end paired with lobster clasps, spring ring clasps or necklace focal connector; also for glue in end caps. 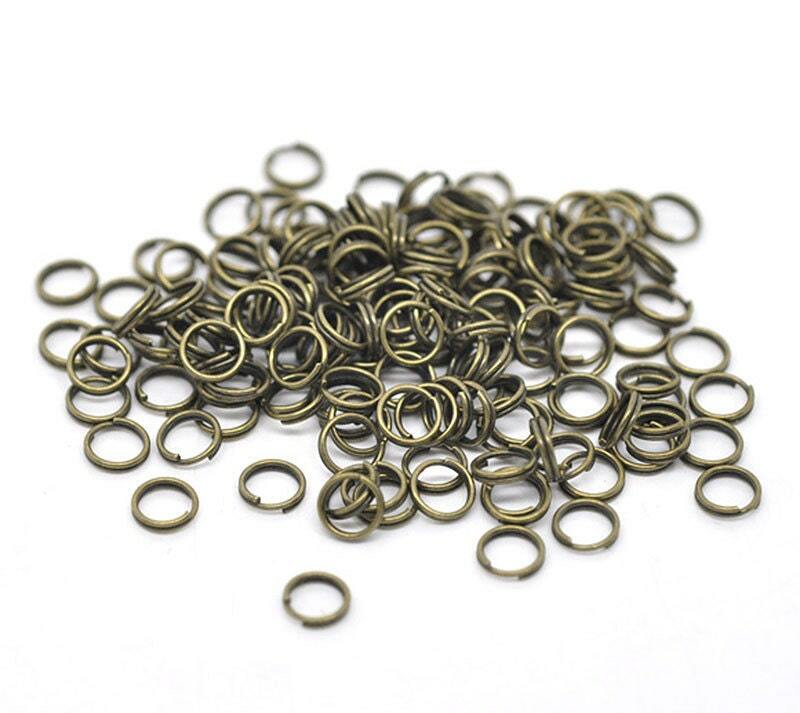 You will receive 100 bronze plated split rings, 6mm.